Volvo has delivered the first hybrid bus to what will be the first hybrid bus fleet in Australia with a hybrid Euro 6 Volvo B5Ls delivered to Latrobe Valley Bus Lines in Morwell last week. The addition of the first of the eight hybrid buses to Latrobe Valley Bus Lines (LVBL) fleet, based in the Gipplsand town of Morwell, one of Australia’s major energy producing towns, through its infamous brown coal fuelled power stations, will be a step toward creating a cleaner environment in the town. Volvo Buses president, Håkan Agnevall was on hand in Morwell for the handover and launch of the first of the eight buses was launched at an event with in attendance. LVBL has been in the bus business for more than fifty years and has carved a reputation as environmentally conscious and a leader in implementing new technologies. It was amongst the first operators in Australia to introduce Euro 6 buses, well ahead of legislation and is now upping the ante with eight hybrid buses. LVBL started trialling hybrid technology in early 2016 in a bid to reduce its environmental footprint, particularly given the region’s history of heavily polluting power stations. It decided to partner with Volvo to provide the first “clean” bus route in Australia. The company said the trial was extremely successful, providing fuel, noise and environmental savings. Volvo says its hybrid buses deliver up to 40 per cent savings in fuel and carbon dioxide emissions and cut nitrogen oxides and particulates by as much as half compared to diesel buses. General manager for Volvo Bus Australia, Lauren Downs said Volvo and its local dealer partner CMV are thrilled to be part of the environmental project with Latrobe Valley Bus Lines and look forward to supporting and delivering attractive, innovative and environmentally friendly transport solutions to the Latrobe Valley. “Latrobe Valley Bus Lines shares a number of common values with Volvo, including passion for what we do, innovation, trust, diversity, safety and care for the environment,” said Lauren Downes. “When two companies come together with such common values amazing things can happen and the launch of the first Volvo Euro 6 hybrid in the country with LVBL is definitely symbolic of that,” she said. Volgren in Melbourne is buiding the low floor bodies on the Volvo B5L chassis, with the low floors chosen to improve passengeraccess and flow. This makes Volgren the first Australian bus bodybuilder in the country to successfully deliver a bus body on the new Euro 6 Volvo B5LH Hybrid. The bodies for the Euro 6 Hybrids delivered to LBVL were esigned and engineered by Volgren in partnership with Volvo, . Michael Kearney, Volgren’s product engineering manager said the completed hybrid bus breaks new ground in bus body design and manufacturing assembly processes. “Our engineering team worked closely with the Volvo development team based in Sweden; sharing design concepts and refining the design of both the body and chassis,” Kearney said. These meetings continued weekly all the way through to completion of the prototype unit, making certain that each stage of the design was validated and complied with Australian Design Rules. “The design and construction of the Euro 6 Hybrid bus is quite different to a traditional bus, with high voltage battery packs, radiator, air compressor and associated equipment all mounted in the roof,” Kearney explained. With the majority of Hybrid components in the roof, those responsible for engineering, manufacturing and production had to rethink the assembly line. In fact, Kearney said, innovative changes were developed to accommodate the new build process to enable the Euro 6 Hybrid to fit within the factory processes normally dedicated to the assembly of diesel buses. Kearney said the build for the Euro 6 was an exciting challenge for Volgren’s engineering and production teams, at a time when the industry appears to be on the verge of a significant transformation. That’s a sentiment supported by a recent order of 50 Hybrids for CDC in Victoria, a tipping point moment Volgren CEO Peter Dale has seen coming. “We’ve long held the view that the next five to ten years will bring about more change than the bus industry has undergone in the last 30 years. We’re seeing that change all across the world. And now it’s starting in Australia and being led by forward thinking bus operators such as Latrobe Valley Bus Lines and CDC Victoria,” Dale said. 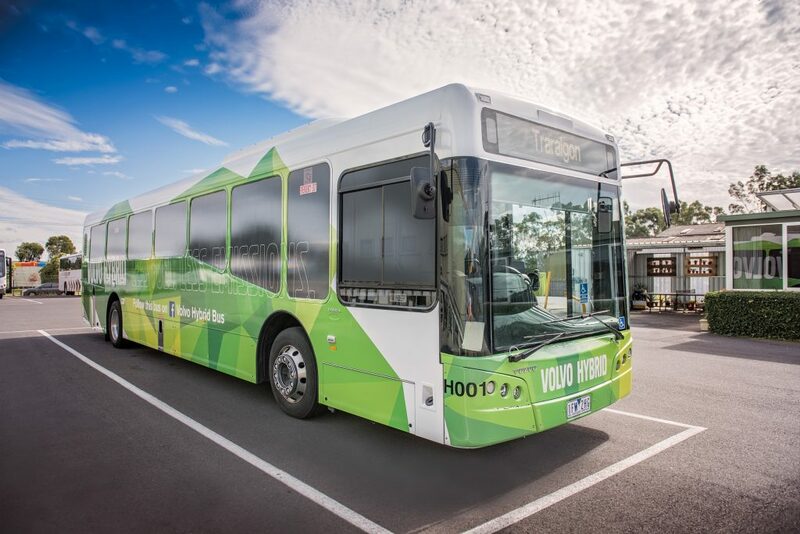 “We are extremely excited to introduce the new Volvo hybrids into our fleet,” said the managing director of Latrobe Valley Bus Lines, Rhonda Renwick. “We have closely followed the progress of the build which started in January this year. 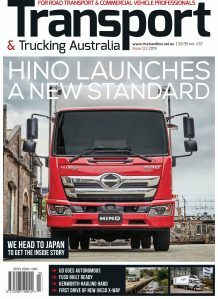 It has been a fantastic team effort by everyone involved, following the journey from Volvo in Sweden – to Volgren – to the Latrobe Valley, in Victoria,” she said.